Not a skier? Not a problem! 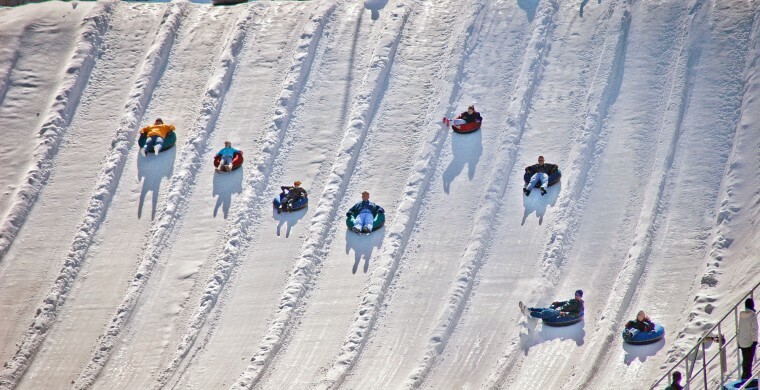 At Ober Gatlinburg, the mountaintop epicenter of all things fun, you can enjoy snowboarding, snow tubing, ice skating or simply sit back an enjoy a cup of hot chocolate or hot toddy in The Loft Lounge. With ten ski trails and high-tech snowmaking equipment (should Mother Nature take a day off), Ober Gatlinburg is a great place to enjoy all the fun winter has to offer. From our Gatlinburg hotel, getting there is easy – simply park in downtown Gatlinburg and take the 2.1-mile Aerial Tramway ride to the top or drive to the Ski and Park Lot, if you have 4-wheel drive. Rather shop than ski? Enjoy! Ober Gatlinburg offers lots of great stores to keep you happily entertained, including (our fave) Obear's Playhouse, where you just might meet Obear himself mingling among the toys.